Doing plumbing repairs in your particular camping unit is a part of regular maintenance. Inspection at the beginning of the season is a must if your sojourns to our great campgrounds are to be a success. 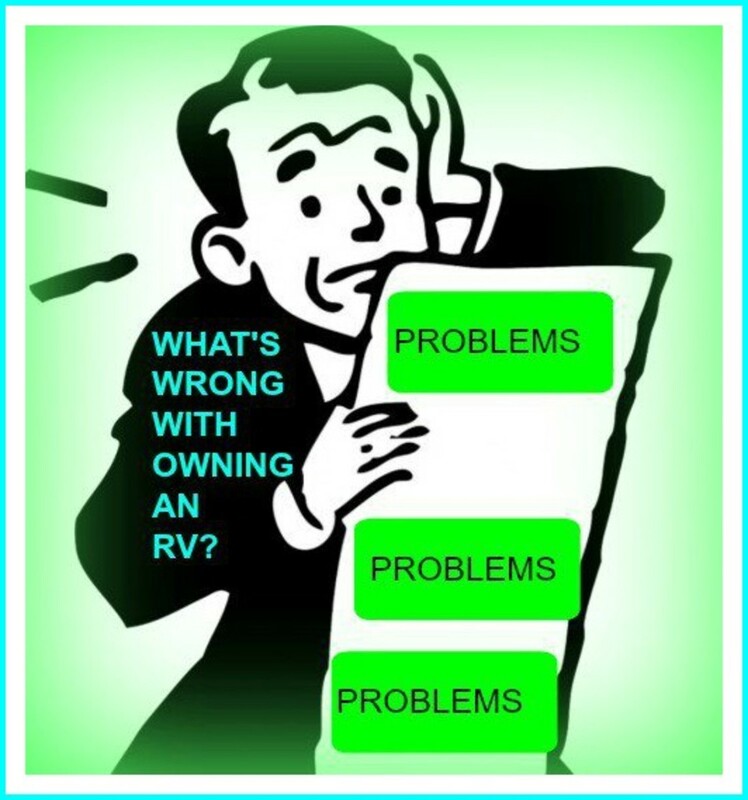 No one, especially your campsite neighbors, wants an RV sewer system acting up during vacation time. By checking the RV plumbing at least annually, you can prevent or fix most plumbing problems before they cause trouble. Leaky faucets should be fixed as soon as possible by replacing the rubber seals and valve seats, just as you would in your home. It is a good idea to replace them every two years even if they aren’t leaking. Since these RV plumbing parts are usually only exposed to water a few times a year, they tend to dry out and become hard and brittle. If they are not changed, they may not seal correctly, or they may break. The same goes for the shower and bath fixtures. The water supply lines in an RV can be made from different materials, but all have one purpose: to deliver water to the sink, bath, shower, or toilet. Plumbing materials for RVs need to be flexible because the plumbing flexes while the camper is being driven to and from the campsite. Older camper units may use copper tubing, while newer models use flexible plastic materials. The copper tubing may require a flare tool to connect the pieces when you are replacing or repairing a broken water line, while the plastic tubing uses rubber or plastic pressure fittings to ensure a good seal. These parts can be found in most Home Depot or Lowe’s building supply stores. SharkBite plumbing connections work on all types of pipes and require no glue to attach and also remove just as easy. Simply snap together for a leak-proof fit. Perfect for emergency repairs when away from home. For all sizes of pipes. Replace or repair the old tubing with this special SharkBite tubing. Toilets in RVs and camper trailers use different mechanisms than toilets use at home. Instead of retaining water in them at all times, toilets in campers use a trapdoor-type slide plus a water flush component to dispose of the waste. The water connection to the toilet is no different than used at home. One of the most common problems with the toilet is incomplete closing of the sliding trap door. When operating correctly, the slide fits snugly into a groove. After a period of time, bits of toilet paper may become lodged in the groove, which prevent the slide from closing tightly. This will allow air to seep from the waste holding tank, causing an odor problem. Carefully clean this groove with a small piece of wire until the slide seats properly into the groove. 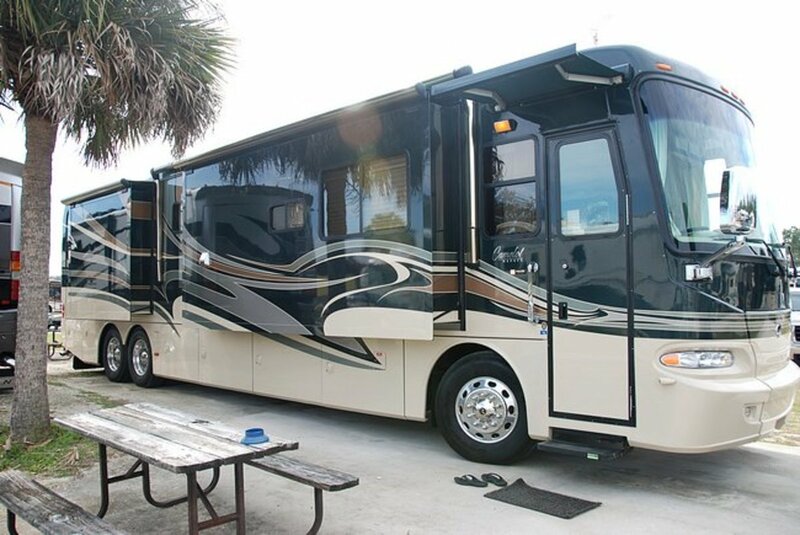 Another common problem with an RV waste system is the short life of the rubber seals contained in the outside valves that lead from both the gray-water and black-water holding tanks. These seals are merely rubber o-rings which fit tightly around the slide valve rods. These need changing at least every three years because of their exposure to chemicals in the gray or black water tanks. A messy job yes, but better to do it at home than in the campground. Inspect both RV holding tanks regularly, too. Any leaks can be easily repaired with patching kits made especially for this purpose. Be sure to follow directions on these products as the hardening time is very short. In most cases, the sewer lines are ordinary ABS black plastic tubing. This kind of pipe, as well as elbows, couplings, and other connections can also be purchased at Lowe’s and Home Depot. You may even want to extend the drain hook up closer to the edge of the unit for easier connection. These repairs only require the correct couplings and a can of cement. It is not a bad idea to carry spare couplings, tubing, and glue along with you on your trips, just in case. Keeping your RV camping unit in good shape is an ongoing job, but well worth the effort. By doing an annual inspection you can rest easy while enjoying the great outdoors. And so can your camping neighbors. Eventually, the RV toilet may need replacing because of wear and tear, or because the plastic used in some older-type RV toilets can become so brittle it cracks around the flushing valves or where it attaches to the floor. Depending on which type of RV toilet you decide to replace your old one with, you can spend from around $100 to over $200. Low-profile toilets or oversize models can be substituted for the older model camper toilet if you so choose. In most cases, a new camper toilet can be purchased for a little more than the cost of the parts to repairing an older model. These newer, more efficient model RV toilets have easy-to-operate flushing valves and better odor control features than the old types. Check clearances and RV plumbing connections before changing the type of toilet you use. Follow installation instructions closely to ensure proper operation. Unless the problems with your old RV toilet are minor, it is better to just replace it with a newer model than to repair it. Although many older RVs and camper-trailers used propane in their water heaters, today many campers use electric water heaters. Whichever type your camper uses, repair parts are available from most RV parts dealers. Heating elements and valves are usually the culprits needing repairing most often. Gas models need to be cleaned annually for safe and efficient operation. This may be a job for a professional unless you are knowledgeable about propane gas mechanics. Eventually, an RV water heater needs replacing. Today's energy-efficient models perform better and cheaper and may actually pay for themselves in gas savings over a period of time. When ordering a new RV hot water heater, make sure the dimensions and water capacity will suit your needs. Some changing of water supply fittings may be required. You may want to consider one of the "hot water on demand" type units for the kitchen or bathroom sink to keep from using water out of the main water heater. These units are great for eliminating leaky hot-water lines running from the main RV water heater; they only use the cold-water line. Tony, have you got a pic to send me through my email contact at the top of the page? just install a new surburban hot water heater in my rv and i noticed that there was a fitting with what looked like a t-stat in it but not sure i got it back on the right spot or the right way, any ideas? Julie, is the shower leaking around the drain or somewhere else? We have a leaky shower. The water is going under sink. We thought it was shower cocking or drain seal. Only happens when take shower. Sergio, there should be some screws or bolts holding the toilet down to the floor. if it's glued down, then a Sawzall may be the only option. Are you sure you don't have to take the toilet apart on top to get to the hold down connections? Thank you for writing this. I am currently losing a battle with my bathroom sink supply lines. This has given me some ideas to try. How to stop waste tanks from leaking and pipes from leaking? I need help with the plumbing in my rv. Do you do that type of work? Marcus, sorry as this article is all I have on this subject. Carson, hopefully there is an access hatch to get to the connections somewhere. Otherwise, you may have to remove the shower. Tania, in some cases the tub must be removed to access the drain. having a hard time reaching the drain under the tub and its leaking. The space between the flour is small. Richard, you can replace the handle easy enough by visiting an RV dealer or finding one online. Carl, have you tried using a snake to probe the lines? Owner of 2014 Skyline Koala 23CS. Very happy with the unit. However when trying to use the cleanout port on the outside wall above the drains, The black water does not drain. The water from the hose is going somewhere...I cannot trace it. Help! Teddie, I have no way to get a manual for your camper. You might try contacting the maker of your camper as they should have a plumbing schematic. The plumbing is normally run on one side of the camper for both kitchen and bath so this may help you locate and repair the leak. We bought a 1984 Presidential we do not have a manual. We've had to fix the toilet it needed a coupler, we had to buy new propane tanks the older are not legal and now we have a water leak thats causing water to drip like rain under the camper. We do not know much about campers and would like to know where we can purchase a manual. We need to repair the water line but do we have to take the whole bottom off to find the leak? Brian, I'm not familiar how the plumbing is run in this model, but it should be simply basic plumbing, probably using standard ABS black pipe which can be found in most hardware stores. I am looking at purchasing a 1968 Globestar but when we tested the water nothing came out of either the bathroom or kitchen sink. 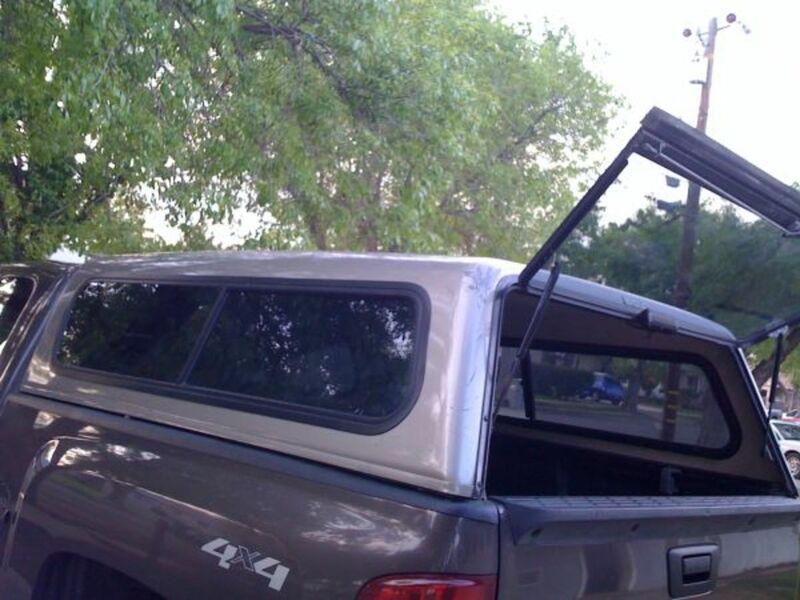 Its a great and I mean great price for the camper and everything else is solid and works. How do I access the plumbing to see if there is a crack or break in the pipe? Ray, I have no specs on this trailer's plumbing system. Hopefully you can find some info from the maker. Randal, do you mean to say the "black tube"? What is "sloudes"? Gary, I don't have a plumbing schematic for your camper. Do you have enough of the pipe left to mend them with a sharkbite connection? Mark, there's normally an access panel for plumbing maintenance, but I don't know about your camper. Hi Randy my 1986 ford tioga has the shower faucet on the wall next to the fridge. The fridge has a small drawer below it where I can see the lines for the faucet. But no way in hill can I reach the connections, cant even see them. The connections are approx., 23 in from the floor. Any other way to access the shower faucet connections, other than cutting through the shower wall? Bill, a bit more info is need before I can assist you. Is the connection under the sink, or where? I have somehow pulled off the connector where my shower is hooked to my sink in my Minnie Winnie FB1801. I can't tell if it is broken or just pulled loose. Heeellllpppp me please. Michelle, look under the bed for the gray water tank or it may not have one. Thomas. from the factory they should last at least 5 years if not longer. how soon after purchasing an rv should i have to replace sealants around my gray water tank? Thanks Randy. I've about decided to use a rubber sleeve, but I'd really still like to have a solid connection instead of something that "floats". I've found a couple of products that claim to adhere poly to ABS, but I'm still a little skeptical. And I am going to reroute the gray valve. It's stupid that the manufacturer put the black valve in front of the slide and the gray valve 10' away under the opposite end of the slide. It really doesn't make sense to have to move the sewer hose, so yes one of the main things I want to accomplish is easier dumping. Thanks again. @dmansf--You can find rubber connection sleeves in many sizes and adaptions. They do use hose clamps but seem to seal quite well. You can also purchase another dump valve and extend the gray water valve to an easier location. Thanks for your post. My first camper is a 2008 Wilderness. The gray tank outlet is leaking. Since it had a hose clamp, I'm assuming the tank is HDPE. The outlet pipe is ABS. I'm finding conflicting info on whether you can bond the two; I wouldn't mind a permanent connection. If I don't find a reliable answer on whether something works well to bond them, how is the best way to put the connection back together so it doesn't leak? Pipe thread sealant and hose clamp just doesn't seem like a very good connection in my opinion. Second question is related. I want to go from two separate dump valves to one (well a double valve). The current set up has the gray dump valve way up under the slide, and I don't like moving the hose from the black to the gray, or crawling up under the slide to do it. I think it would be ok to come out of the gray tank with an ABS elbow fitting similar to a trap, if I can find such a thing, since I need to turn 180 degrees to get the gray line over to where the black valve is. That shouldn't be an issue should it? I wouldn't think a sharp turn like that would cause clogs or anything, as long as I have a good slope after the turn. Your thoughts? Hey Cynthia, any plumber worth his salt should be able to do this installation. It isn't much different from an ordinary household plumbing job. Hello, I own a mobile food trailer and need the 3 sink compartment and hand washing sink water flow system installed with fresh water tank and drain tank and the drain sysytem fixed. Are there any plumbers that do this kind of work? Jason, this sounds more like a plumbing leak than an AC leak. There should be an access panel to the plumbing connections somewhere. Brad, are the sides and roof on the slide-out water tight? Or do you think there's a plumbing leak? Jak. the black ABS pipe and fittings should match the black pipe used in your camper in most cases. 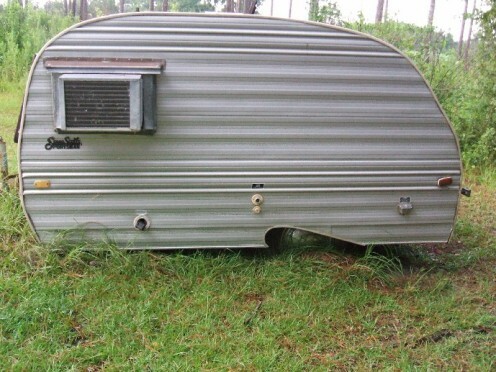 Hi Earnest, there should be an access panel for the plumbing connections in your camper. Sometimes you have to unscrew a panel to get to the plumbing in the bathroom and kitchen. Unfortunately, I don't have a plumbing schematic for your Innsbruck. 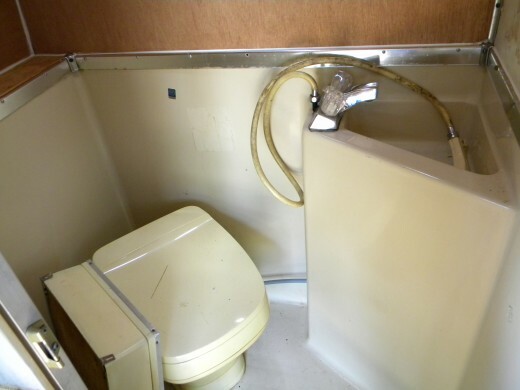 Is there an entrance to the plumbing connections in the bathroom closet on a Innsbruck travel trailer? This usually an easy removal, Pierre, I assume it is PVC material. You may have to cut and replace the toilet attachment. The only remedy is to remove the toilet so you can see where the leak is occurring unless you can see the plumbing from an access hatch either behind the toilet or from the outside where the plumbing enters and exits, Vern. I have water leaking from back of trailer drivers side and it is leaking from toilet. Appears to leak from the bottom of the wall directly behind toilet? Last year toilet was repaired? Can't figure it out and no experience with dis-assembling toilet! Susan, sorry to be late in responding to your query but I've just now logged in. It sounds as if the leak is coming from a fixture in the bathroom. I assume you've already disconnected the water supply which makes finding the leak a bit more difficult. First check the connections on the bathroom toilet , sink and shower/tub. You may have to remove some access panels for the sink and tub. RANDY, have a 2015 trailer with 3 tip outs that my inlaws live it, they just came in and told us that there is water on the floor. about 1 inch from the bathroom to the bedroom. Where do we begin to try to find the leak? It is hooked into our well water and our septic. All has been great until now. Suggestions? Hello Dan, is the tub itself leaking or is it the plumbing fixtures or the drain the problem? I have a terrible leak under the tub in my Coachman 1988 camper 29 ft. How do I remove the tub to repair the leak? Hi Scott, in most cases you can easily repair or replace bad water lines if you can get to them without tearing something out of the RV. I hope you used a pressure reduction adapter, and if not, the city water pressure may be the cause of the leaks thus far. Just bought 1994 Passport by Cobra, hooked up city water in a few minutes water starts pouring out the bottom of the rv. I guessing it's a cracked or split inbound water line, is there a way to check this and fix? Depends on the size of the wheels and tires, Jim. Hi Stan, all of the gate valves I've repaired or replaced use screws to attach to the holding tank. However, your camper is an older model and may have a different method for mounting the gate valve. Is the piping black ABS type? If so, you may find what you need at Lowe's or Home Depot. The gate valve form the holding tank on my '63 Mallard Drake is cracked. How do I replace it without replacing the entire holding tank. All the piping appears to be glued in place. Hi Linda, the only thing I can tell you is it will usually be near where the power cable comes out of the camper. Look inside for a panel or access door near the cable exit. Hi David, have checked all of the GFI(ground fault interrupter) outlets near the sinks in the bath and kitchen? They have a reset button which can easily trip off if any moisture comes in contact with the outlet. This may have had something to do with the rainy weather or not. On a 2005 fema trailer the switch above the cabinet quit all of a sudden and the hot water heater will not come on.we checked the fuses but all are good .hot water heater will not come on at all.this happened when it started raining .the light will not light up on the switch when its turned on.i dont know what do you think. Hi Yvonne, there should be a valve outside of the bathroom which slides in to close the system. I'm confused as to why a small amount of water is flushing down the toilet, however. Perhaps a bit more info may help me solve your problem. Hi, we have taken our Hymer out for the first time it is a B544, we seem to have trouble with the awatersystem, when we try to flush the tiolet only a small amount of water gose doen the tiolet, the rest is running out side the van just forward of the bathroom , there is a small pipe that has a diaganal cut to it that the water is comiung out of, how do we stop the water going this way it isd clean water. Hello Tera, have you disconnected the hose from the RV to see if there's a restriction? If not, then do so and check the filter screen where the hose connects to the RV to see if you have pressure to the unit. my core unit is parked at a camp site with water access. We disconnect it between weekend use bc it's winter time and temps frequently fall to freezing. Well came back and hooked up the water and can't get water throughout the camper. (A very tiny stream of water will drop from any one water source of your choice like the kitchen sink or the bath sink but nothing more). If you tirn that same sink off for a period of time the water will for a few second come out more generously but then reduce back to that tiny stream. The water pump and its fresh water tank does supply water but am so frustrated bc we can't figure out why water is no longer coming out with the proper amount of pressure consistently. Please please provide me a ck list of items as I am desperate and in a very rural area with no options to take to a service shop. I would have to tow it approx 3 hours away to get done professionally. I'm desperate for your assistance. It's a 2010 grey wolf camper. It may be the supply line is damaged, especially if it was not replaced along with the faucet. It isn't uncommon for this to happen when a plumbing fixture of any kind is replaced. Also, just because a faucet is new doesn't guarantee it to be without flaws as I learned the hard way long ago. @Johnnyboy--Have you filled the tub without using the shower, or can you do that on your model? If you can, you can narrow the problem down if water still drips from beneath the camper. If it doesn't, that should indicate water is getting past the silicone barrier along the tub and side panels. Sounds like you have a blockage somewhere, Alicia. Have you checked the screen where the hose attaches to the camper? If there's no screen to catch the debris then you may have a blockage in the small cut-off valves going to the bath and kitchen fixtures. They are prone to being clogged with debris because of their small openings. I'd start checking the closest valve to where the hose is attached first and work your way to the furthermost valves. it doesn't have and on-board water tank. It hooks up to an outside source with a waterhose. The cold is not working either. Sorry, I should have put that. The water is going to the water heater and heating up, just not running through the plastic tubes when we turn on the facets. Hello Alicia, The plumbing in some of the FEMA trailers is very badly done as I had friend who had one and also experienced problems with his. Is the cold water not working either? Does your camper have an on-board water tank other than the H/W heater? Hello, I have a fema camper. The water worked great for a while. Then, one day, out of the blue, went to shower, and no water. The water tank is filling up and getting hot like it is supposed to. I can turn the valve and get the water to come on in the sink and turn the valve again to turn it off, but nothing in the shower. I have drained the water tank, and filled it up again. It seems to be working fine. I am at a lose. Any ideas would be appreciated. I suggest you try using some of the Shark-byte fittings as they will work on almost any type of pipe or tubing. There are some advertised on this page and when clicked on they will take you to other types and sizes of repair fittings. Good luck on your repairs and feel free to ask for more info if needed. We recently purchased a 1999 Terri fleetwood. We took it camping and had a clog in the pipes. We then noticed water dripping from the bottom of the camper, and also at the two small drain pipes at the back (the ones to winterize the camper) So we got some drain cleaner and a plunger and went at it. We unclogged the drain, but its still dripping, especially from the two small drain pipes at the back. The pipes are made from the almost see through plastic. My husband says to replace those we have to replace all the piping underneath because they don't make that specific pipe anymore. I would love to believe him but he's a girly man :) so I don't. Hi Rudy, without seeing the layout of your RV I'm hesitant to suggest the best way to access the leaking pipe. Just guessing, I would prefer going underneath rather than through the floor itself. This is merely a guess though. Sorry I can't be more help on your query. Do feel free to ask more questions if needed. Hello Nyles, sorry to be so late in responding to your question but I've been a bit under the weather the last few days. Yes, you should be able to find new connections or even some which will do a better job of sealing the lines. Good luck and feel free to ask for more info if needed. Hi I have a leak in the front part of our 2009 Springdale camper. It's a few feet I front of the water tank and can't get access to it. Not sure if I should cut into under pinning of camper or go through the floor. Any suggestions? I have a 1980 24 ft nomad trailer. The copper lines for the kitchen and bathroom faucets won't stay in the plastic connection that hooks to the bottom of the faucet. Can you buy new connections or is there a better fix? The gray valve is called a cut-off valve, cnev. 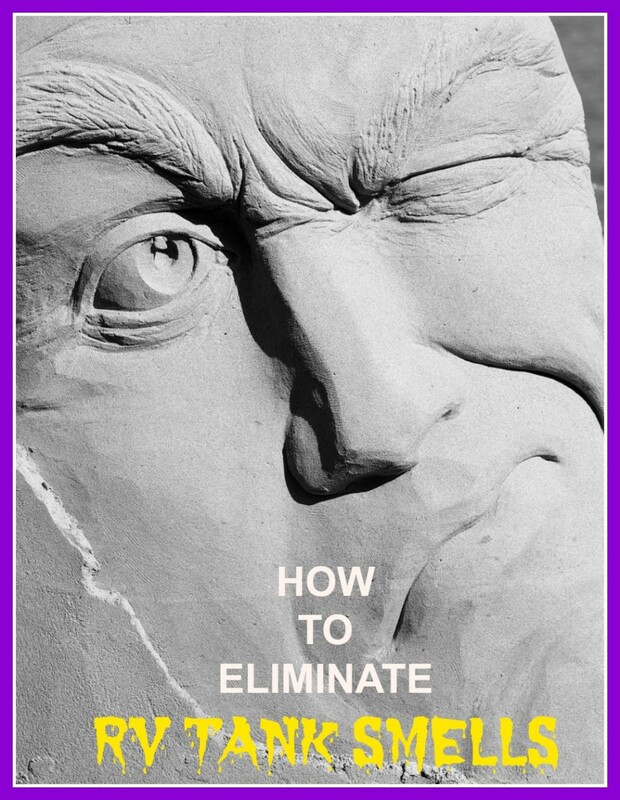 The simplest thing to do is remove it and take it to a Home Depot, Lowe's, or simply a local hardware store. Anyone worth their wages at these places will have no trouble getting you a replacement valve to replace the original, or an adapter valve with SharkByte or similar easy installation fittings. Don't fear these plumbing problems as they aren't difficult to repair the majority of the time. we have a 2003 Fleetwood prowler travel trailer. we found a leak under the bathroom sink coming from one of the red tubes to the left side of the grey valve, which I call t valve. I had tighten it a few times and it stopped leaking , now the water is leaking more, I put tape around it as this is all new to me and I don't know what to do. I was told to disconnect the grey t valve from the other tubes and get a replacement at homedepot. I don't know what the grey t valve is called, and ive been reading most of your resposnses to ther peoples commnets as to the use of shark bite or gatorbite. do you think this will help/ or should I just get a replacement of the same tvalve to be safe. I hope this will work as it is saturating my bathroom floor. your response is greatly appreciated. There is no universal size, Leo. The pipe usually runs from 1 1/2" up to three inches in diameter. measure your pipe and go to Home Depot or Lowe's and find the match. Hope this helps you out and thanks for the question. Hello Dawn! There may be a pressure re-stricter in the shower assembly. I've discovered this being the problem before. You may also try removing the shower head and seeing if this increases the water pressure. Worse case scenario is disassembling the shower and/or faucet fixture and removing the restrictor. This is a round, flat plate with a tiny hole in the middle. Ask for more info if needed. Good afternoon, we just bought a 98 terry camper. We have great water pressure except for the shower. There is just a trinkle that comes out. What can we do? Hi Darryl, I'm not aware of what type clamps are on your H/W heater. Can you describe them for me?. You may have to simply cut them off and replace them with standard hose clamps. Sorry I cannot be of more assistance to you unless you can give me a bit more info. Hi Travis. What size fitting is it and is it easy to get to?